Research on creating biofuels out of mill waste products may create some new jobs in the pulp and paper industry. 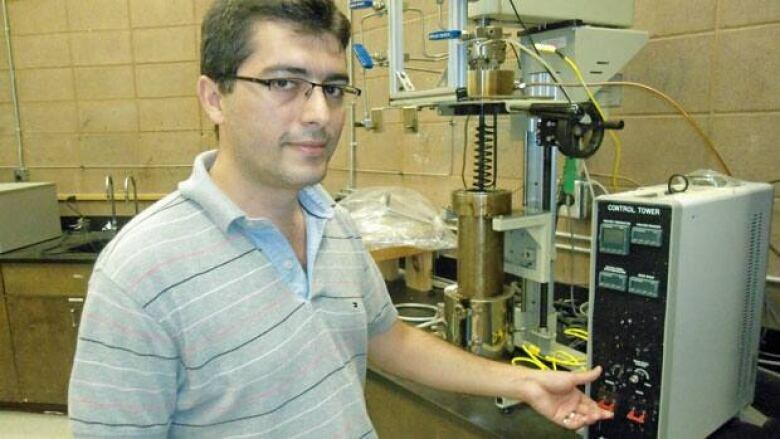 Lakehead University professor Pedram Fatehi said he wants to generate environmentally friendly biofuels out of liquid waste produced by pulp mills — waste that's usually burnt off or diverted to treatment plants. "We are not utilizing them," Fatehi said. "We are wasting them." The researcher recently received $120,000 from the Natural Sciences and Engineering Research Council to work on the technology he is developing, which he said is the first of its kind in Canada. The biofuels could power jets or be used by the oil and mining industries. Fatehi said the demand could benefit pulp mills in the northwest. "More people will get jobs and the revenue of the mills will be increased," he said. "When I visited the [pulp mills] and talked to them about my project, they were very excited and provided me [with the liquid waste.]" The grant — which will be dispersed over five years — means Fatehi can hire up to five students and purchase more chemicals to continue his research. Fatehi, who is an Assistant Professor in the Department of Chemical Engineering at Lakehead, said he spends up to 40 hours a week on this research, on top of his various other projects.